Our favorite Kiwis just made the world’s week. 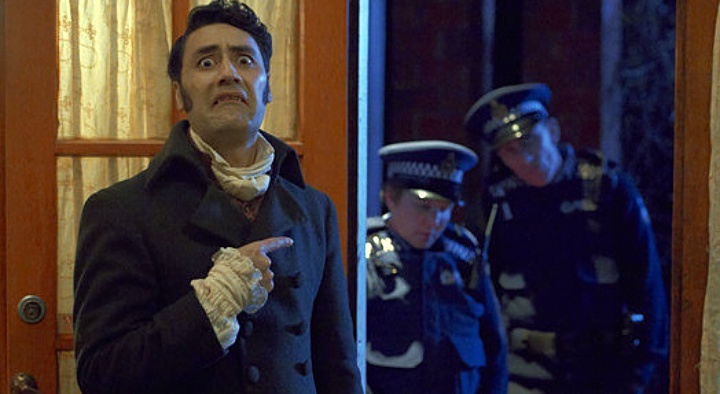 Their side-splitting 2014 collaboration, What We Do in the Shadows was one of the year’s best movies, one we go back to time and again because uproarious laughter is guaranteed. In it they play vampire roomies, Vladislav and Viago, part of a bloody quartet who hilariously hunt together in modern day Wellington (Te Aro). 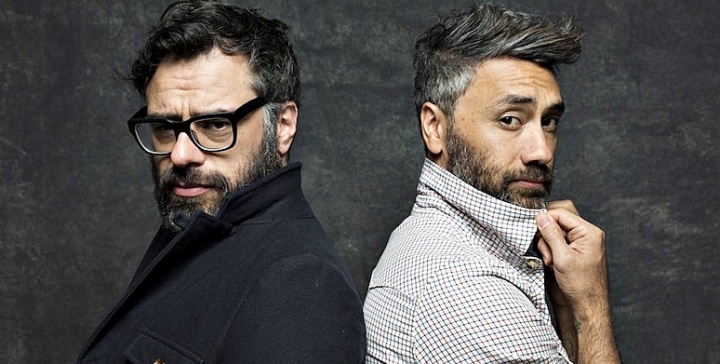 Although, I do confess to loving Taika just a teensy bit better with his real salt and pepper hair. In the six-episode WWDitS spinoff called Paranormal Event Response Unit, police officers O’Leary and Minogue (Karen O’Leary and Mike Minogue) try to keep order as it relates to supernatural creatures such as vampires; stop them from killing and draining regular folks, as it were. While the series was announced by Waititi last September, someone asked Clement about it just last night, and he revealed they’re finally getting down to business. THR reports that FX has picked up the pilot, now also titled What We Do in the Shadows. Starring Kayvan Novak (Four Lions) as Nandor, Matt Berry (The IT Crowd, Toast of London) as Lazlo, Natasia Demetriou (Stath, Year Friends) as Nadja, and Harvey Guillen (The Thundermans, iZombie, The Magicians), Taika and Jemaine will produce the series, but no word yet whether they’ll pop in for a cameo.